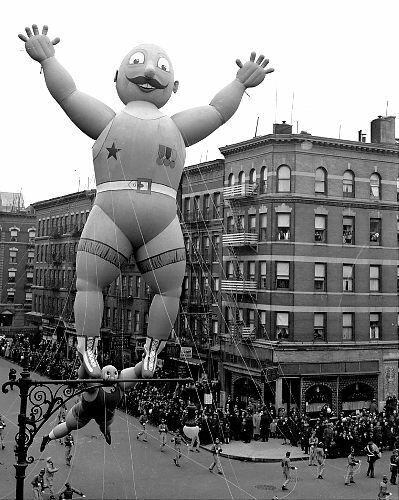 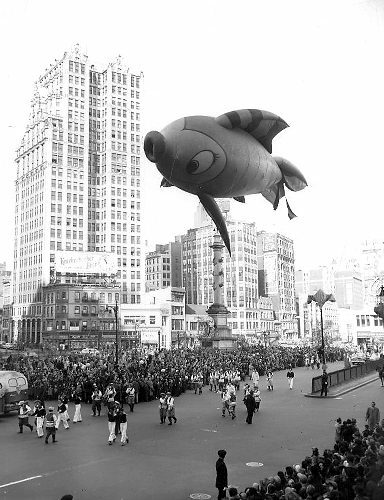 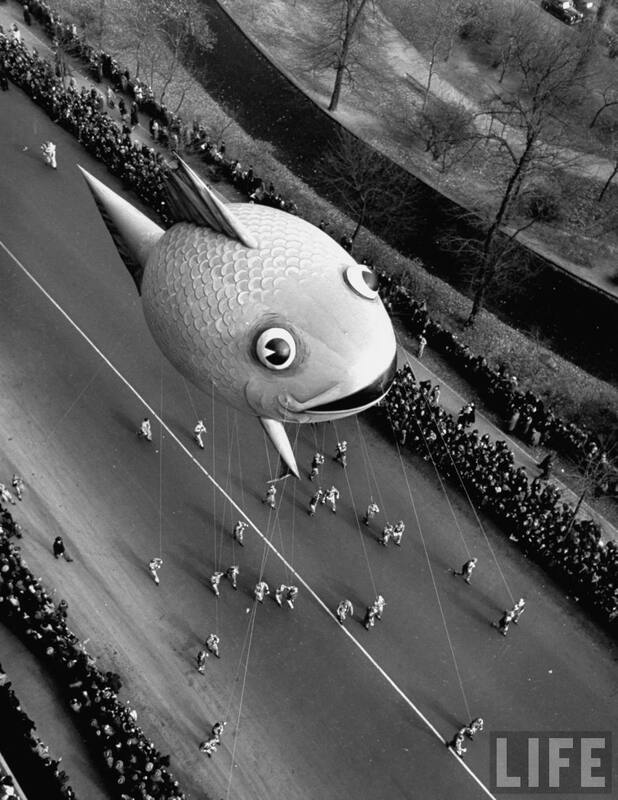 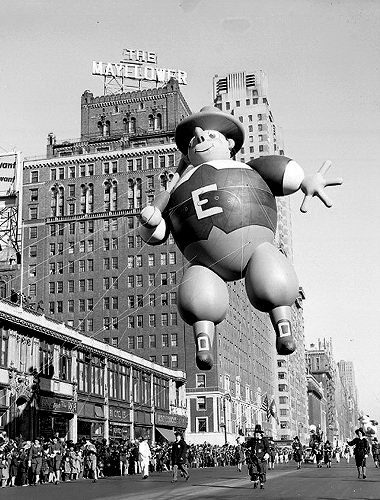 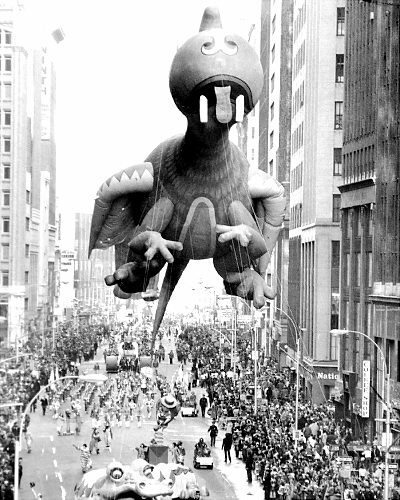 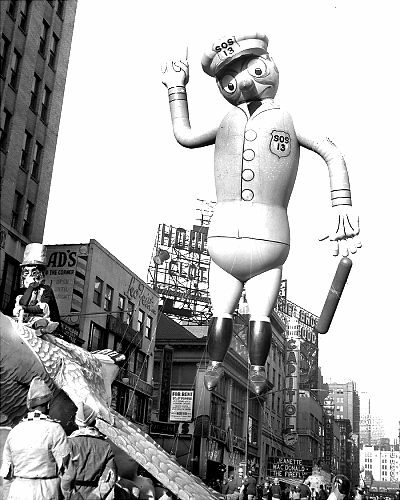 With the Thanksgiving holiday upon us once again and a Thanksgiving #LetsBlogOff to get us all ready for the holiday season, I thought it would be neat to take a look back and some of the wackier balloons that have graced the Macy's parade route over the years. 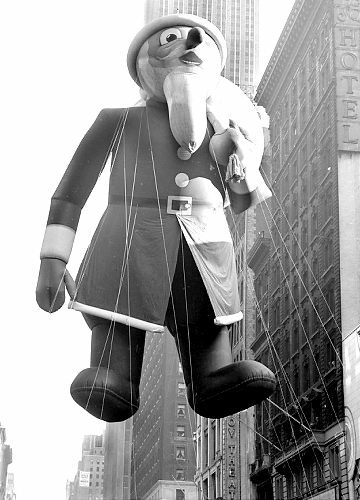 Are those garters? 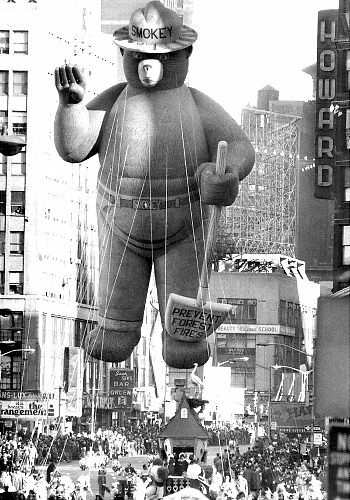 Sheesh the 30's were bizarre. 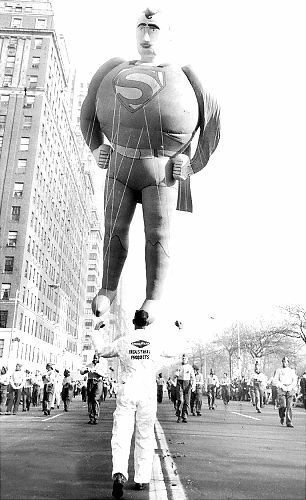 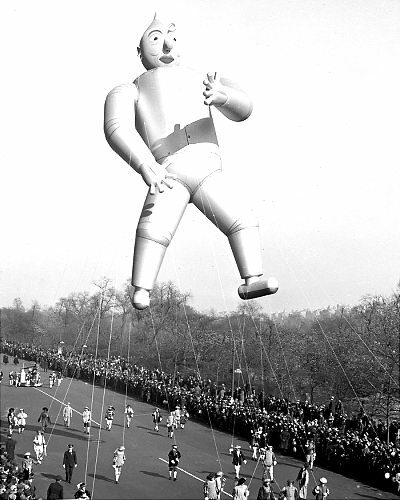 The way I understand it, this was the only balloon that has flown in the Macy's parade that was created out of a living person's likeness. 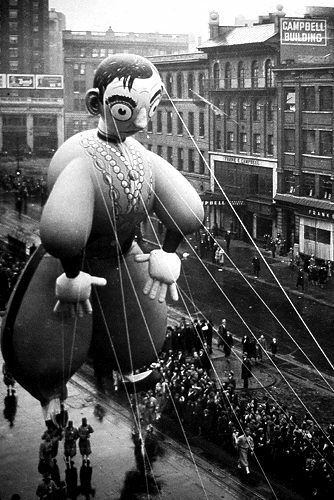 Still kind of scary. 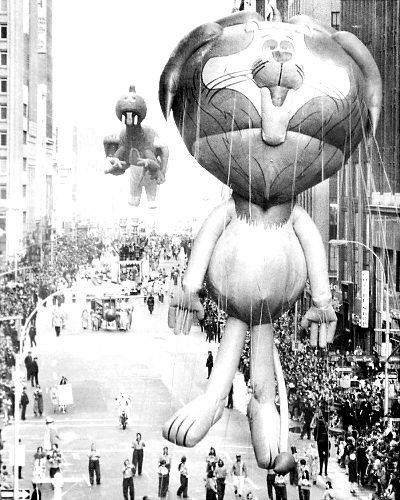 No, I'm not including that silver rabbit from a couple of years ago or Pokemon(even though I still don't know what those little varmints are), but there are plenty that raise a couple of eyebrows. 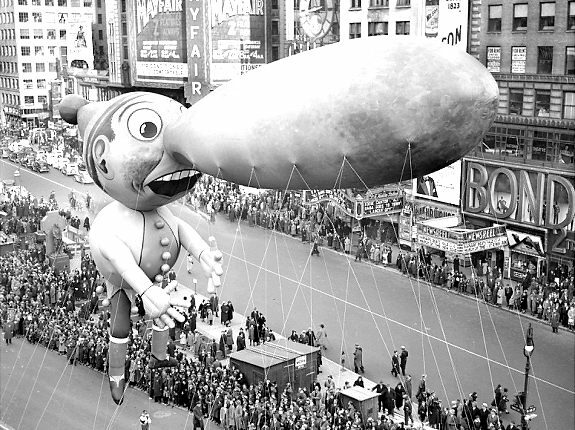 So hunker down Thursday morning and enjoy some smells from the kitchen and more crazy parade balloons! 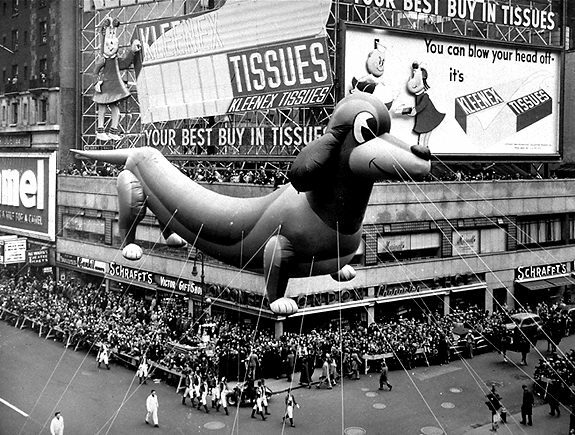 Photos are from NY Daily News look at Macy's Parade.